Based in the heart of downtown Denver, Alicia is an insider when it comes to the Denver neighborhoods; including Highlands, Lo-Hi, Sunnyside, Jefferson Park, RiNo, and other surrounding areas in Central Denver. She has earned a reputation for being an honest, no-nonsense, results-oriented real estate professional who provides a high level of service to all. With a degree in psychology from University of Colorado, Boulder, and an extensive background in customer relations, she uses her fearless negotiation skills to achieve the goals of her clients. Exceptionally steadfast, driven and enthusiastic, Alicia brings her lifelong passion for helping others achieve their goals. She enjoys the process of navigating home buyers through the complexity of the real estate transaction. Being a Colorado transplant from South Florida, she has chosen a healthy, active lifestyle. 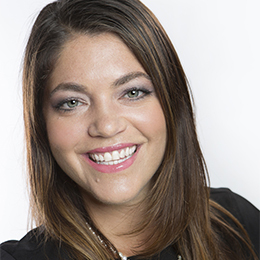 When Alicia is not serving her clients, she is a certified yoga, barre and spin instructor. Alicia believes that everyone should have the opportunity to own a home. She approaches it as an educational and exciting opportunity for her clients as well as herself. Developer of SATORI, Oyster International. Oyster’s approach is finding the beauty in simplicity. Revolutionizing the way buildings are assembled while focusing on beauty, high performance, and speed. Use our preferred lender. Please contact Karla to apply for a loan today. Learn more here.